The chapter was named after Sofi Areshian-Ohanchanian (1881-1971), whose nickname was Roubina. 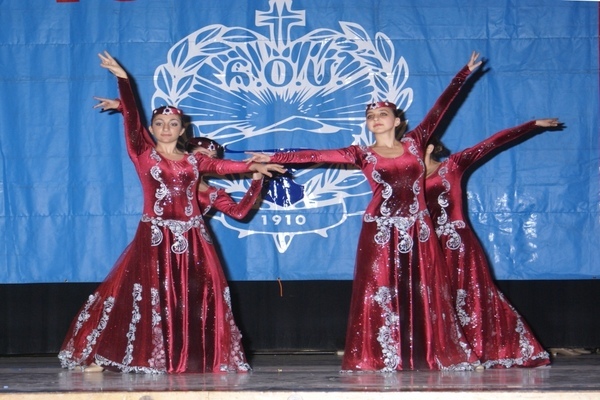 The chapter consists of a group of hard working ladies who through different activities and events help raise funds for the ARS program and unite in celebrating the rich heritage of the Armenian people. In earlier years, the chapter established a Saturday School, which was discontinued after a dozen years. More recently, the chapter has provided scholarships to needy college students. The San Diego area has a significant number of Armenian refugees from Baku, Azerbaijan. Over the years, particularly during the holidays, the chapter has brightened the holiday season by providing gift baskets to the refugees. The chapter also assists the local women’s shelter. The chapter raises funds to meet the needs of the local and international needs with fundraisers such as picnics, backyard parties, and the Autumn Leaves Dinner Dance. The chapter has also held mid-Lent (Michink) and Ascension (Hampartzum) luncheons. The chapter has also embarked on town hall meetings, inviting guests to discuss various issues of concern to the community. These events were informative that created an atmosphere in which community members can make a difference and celebrate their Armenian heritage.